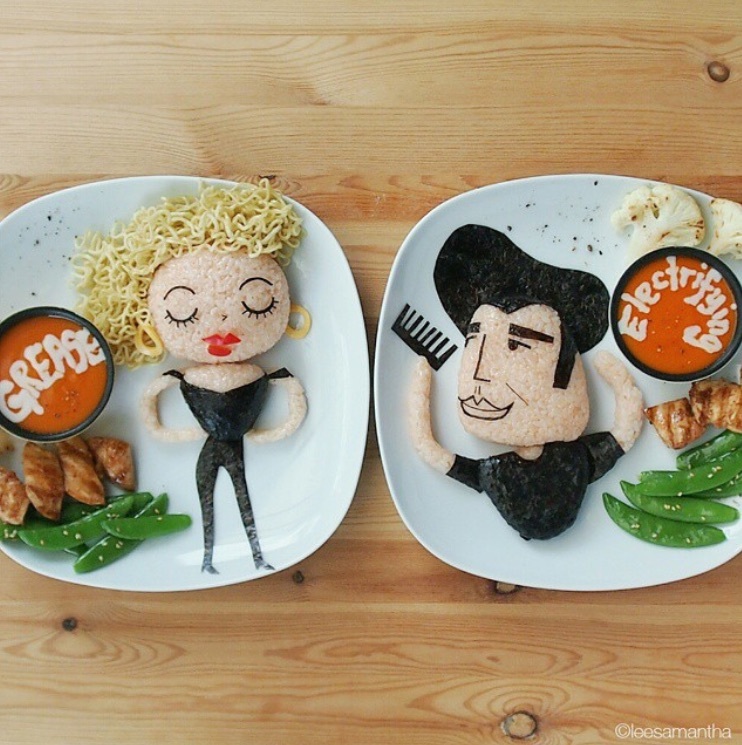 Samantha’s Grease-inspired creation. She used organic noodles for the curly hair, and seaweed for the clothes and comb. 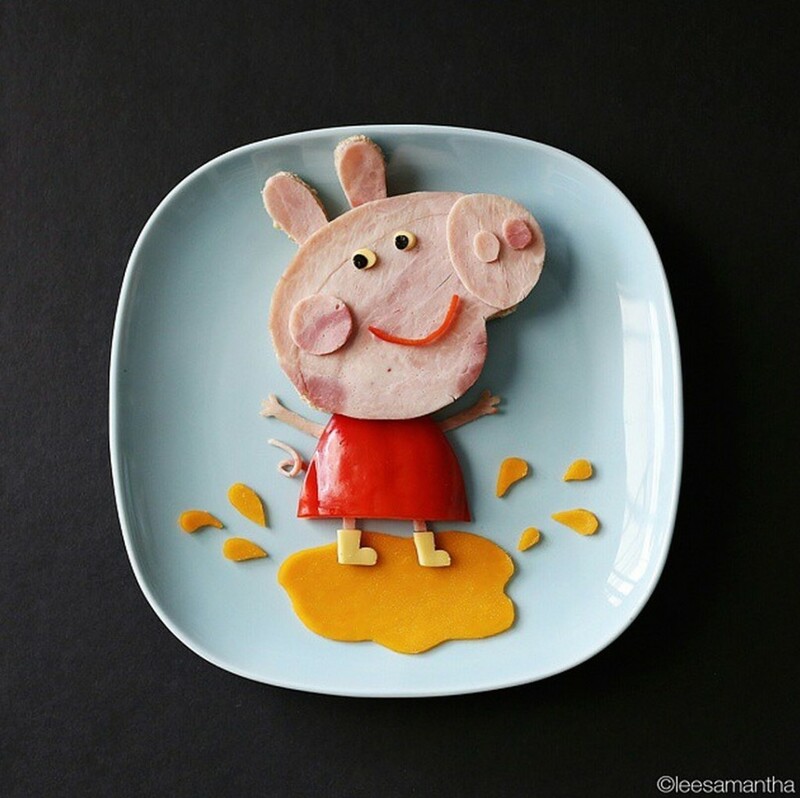 Samantha first dabbled in food art when she was pregnant with her second daughter. She thought that making meals interesting would be a good way to get her first daughter to eat independently, so she created a cute bento for her. 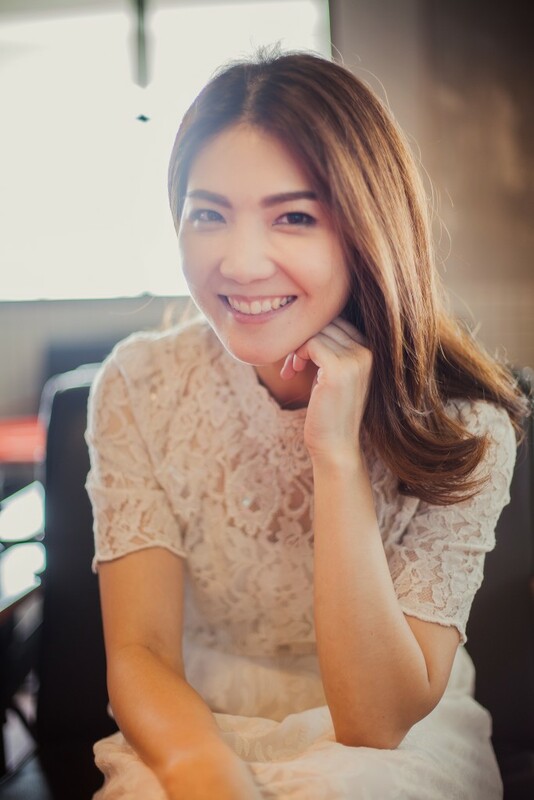 Today, Samantha commands more more than 600,000 followers on Instagram, and has worked with clients like National Geographic, Turkish Airlines and most recently, Ben & Jerry’s. Samantha working on a creation for Ben & Jerry’s. 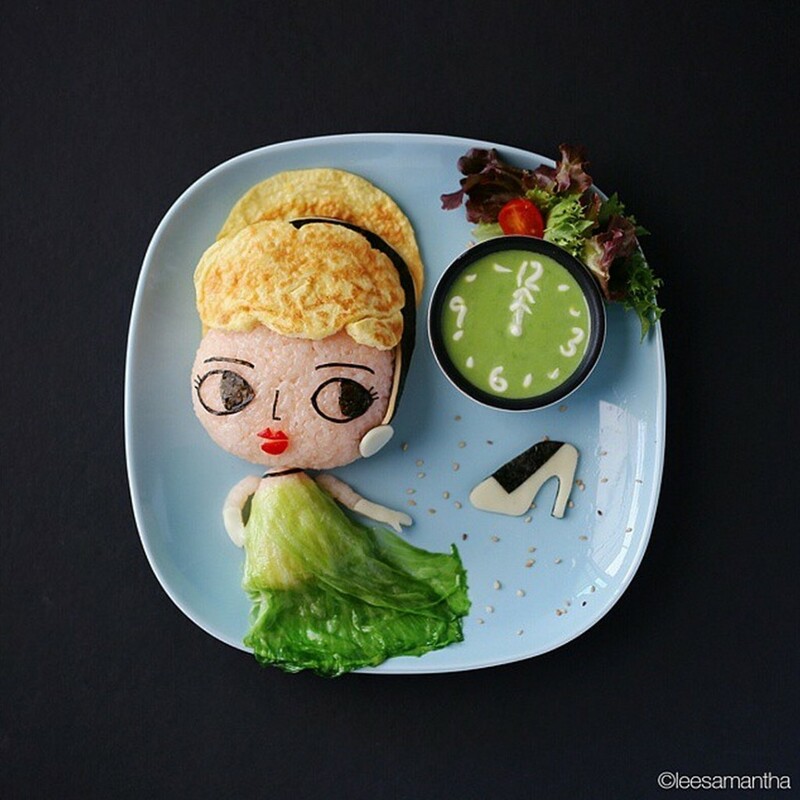 When asked about how she usually comes up with ideas for her creations, she tells us that she looks at what’s trending – like Cinderella, Grease and even Psy (our personal favourite). To prevent food wastage, she sketches a rough drawing beforehand then plans out what ingredients to use for the day’s creation. For food art beginners, Samantha recommends sticking to basic animals like tigers, bears and pandas. The trick, she says, is to use simple shapes like circles and triangles because they are easier to work with. Simplified shapes also make characters look cuter. 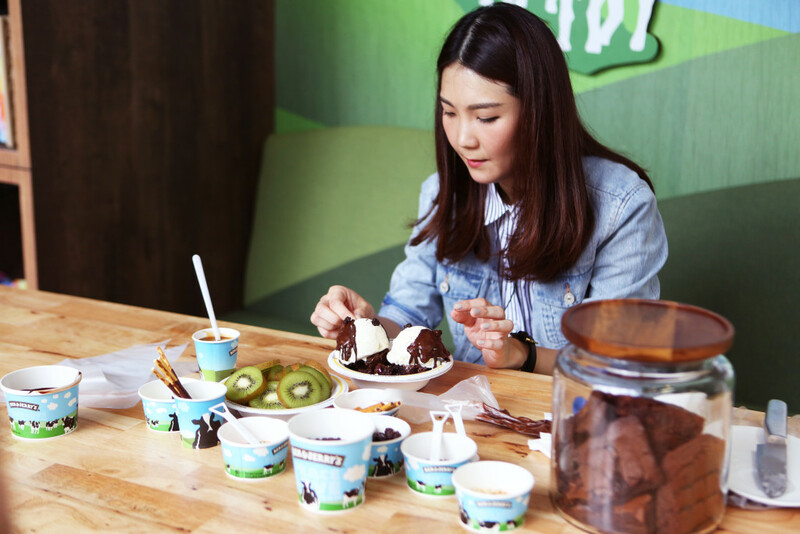 For her latest collaboration with Ben & Jerry’s, Samantha created the ‘Peace, Love and Comoonity’ Sundae to celebrate the opening of the ice cream brand’s new store at 313@Somerset Discovery Walk. 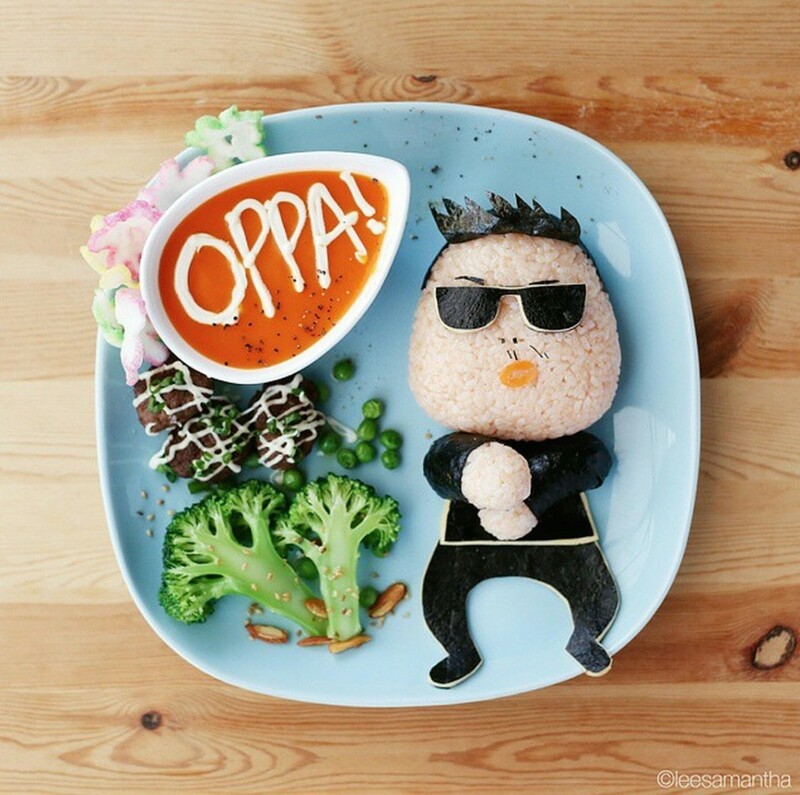 For more of Samantha’s adorable creations, follow her on Instagram (@leesamantha). Don’t forget to drop by the new Ben & Jerry’s store at 313@Somerset Discovery Walk – especially since they will be giving out free ice cream for Free Cone Day on 14 March (Tuesday) from 12 to 8pm. For more details, check out the Ben & Jerry’s Facebook page. 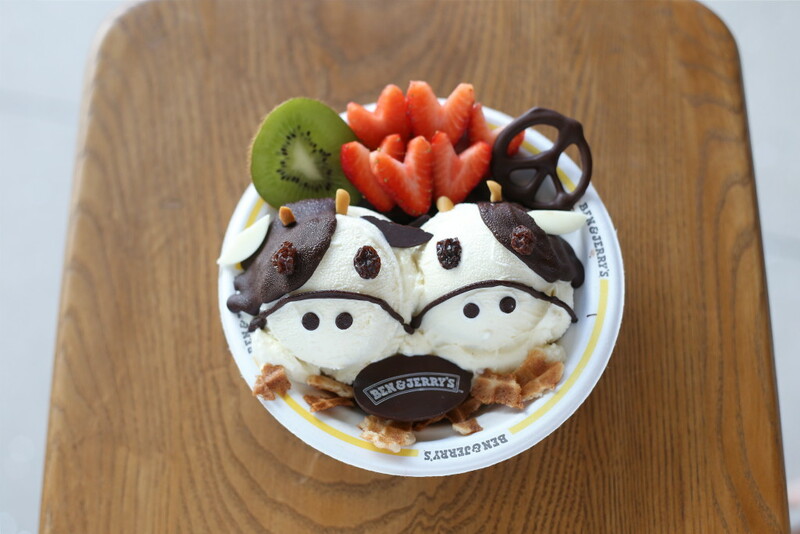 Images courtesy of Samantha Lee and Ben & Jerry’s Singapore.